One of the challenging aspects of owning a small business is learning and adapting to the state's many rules and regulations promulgated each year. It is difficult to quantify the amount of rules and regulations because each unique type of business is regulated differently.While some of these rules are necessary or well-intentioned, others are simply distracting, and regardless, they all demand the business owner's time to process and integrate them into their business. With this steadily increasing workload, it is no surprise that the small business community has voiced their concerns about the time and resources required to adjust their operations. While removing unnecessary regulations is very complicated, we can help alleviate the burden on small business by changing how the state enforces compliance. This session, Republicans and Democrats are working on a regulatory reform bill that would instruct state agencies to issue a warning for first time violations of new, non-public safety regulations rather than imposing a fine. Currently, a business owner is fined for infractions, and when you consider the continual addition or modification of rules and regulations, the possibility for fines can be significant. However, a written warning with an explanation would yield the same result without punishing the business owner and impacting their ability to grow. Small business is a crucial component of Colorado's economy, and we must continue to look for ways to support one of Colorado's important job creators. Republicans will continue to look for ways to remove and stop the promulgation of unnecessary regulations, but in the meantime, relieving business owners of fines for first-time violations is one way to help. This 2016 regulatory reform bill is still in discussion, but I am hopeful that a bipartisan bill to help Colorado's small businesses will become law this session. 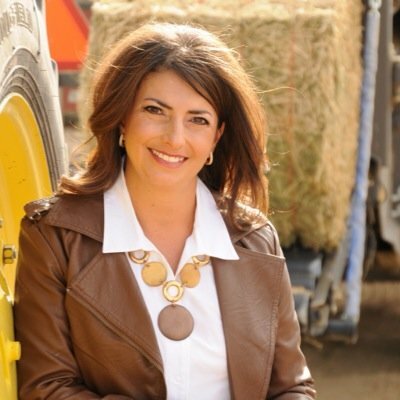 If you have thoughts about this issue or would like updates on this legislation please contact me and thank you for taking the time to read our newsletter. 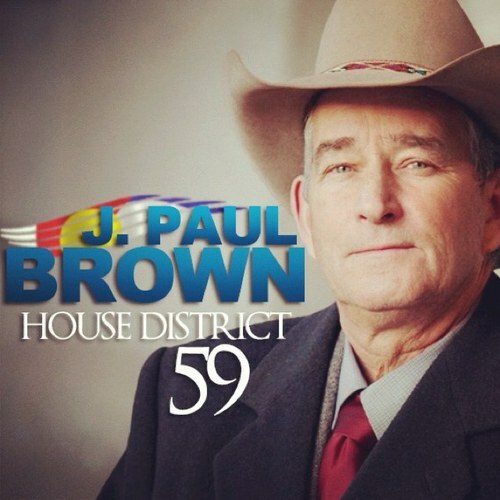 You can keep up with all of our caucus updates by following us on Twitter and Instagram, liking us on Facebook or visiting www.coloradohousegop.com. 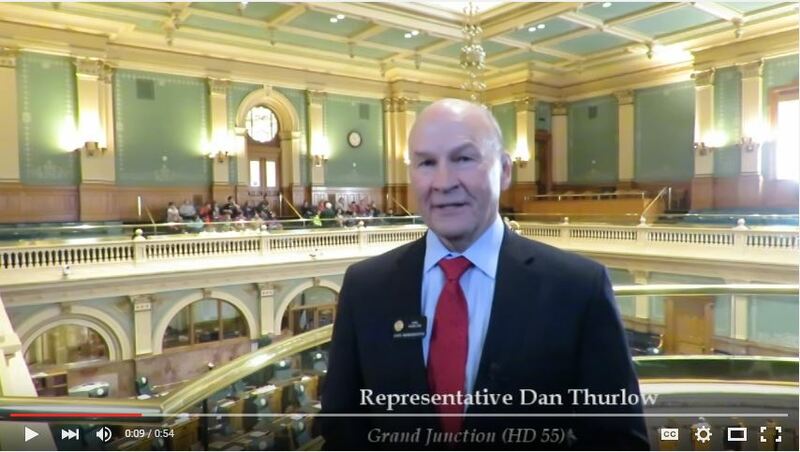 Representative Dan Thurlow (R- Grand Junction) Gives a brief update on the session including his bill to increase government efficiency and a resolution declaring January 24th Denver Broncos Appreciation Day. Bill proposes pesticide-free marijuana labeling program in Colorado. With other Legislators I received a report on the renovation and expansion of the National Western facility in Denver by the President of Colorado State University, Tony Frank, and the facilities director of Denver. A big part of the plan is ag ed. Reading resolution SJR16-005 Denver Bronco Appreciation Day. Passed unanimously! GO BRONCOS!! 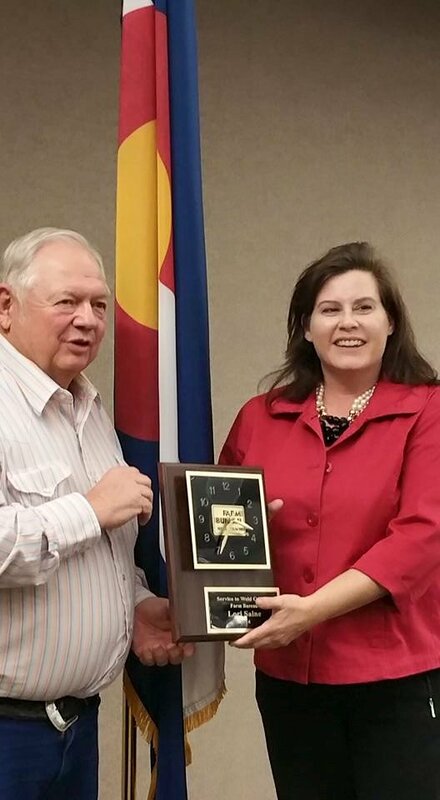 Representative Lori Saine (R-Firestone) receives an award for outstanding service to the Weld County Farm Bureau. House members show their Denver Bronco pride with Bronco Ring of Fame member Billy Thompson and daughter of Bronco owner, Beth Bowlen-Wallace. 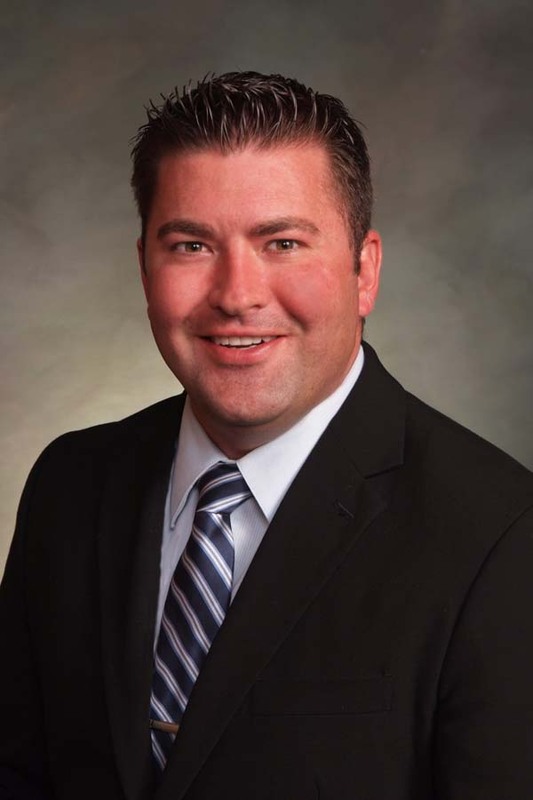 Representative Jim Wilson (R-Salida) discusses his legislation to fund full day kindergarten on Fox 31.